This was a hard challenge for me. It fell on Thanksgiving Sunday…and kind of reminded me how far away I was from some of the ones that I love… my family! 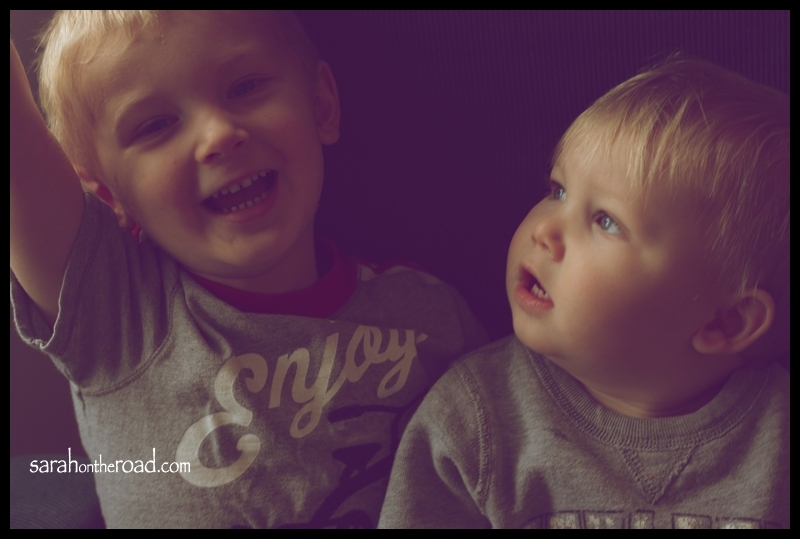 I decided to include this photo from this past July when I last saw my nephews. 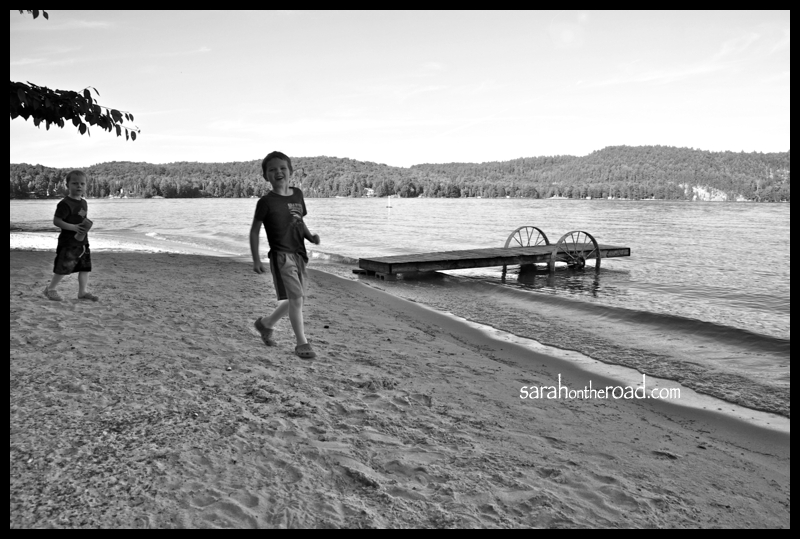 We were playing on the beach at my Gramma’s Cottage! I can’t wait until December when I get to see them again! During dinner at my friends house… I realized that there are two new men in my life! I thought I’d share a photo of them, they sure know how to worm their way into a girl’s heart! On this day it started to snow…and it lasted all day well into the night! It got me thinking to all the amazing photos I have from the snow… I LOVE the white stuff! Memories of playing in it…skiing in it… out in the back yard with my two brothers and our GT Racers–climbing up the hill and sledding down over the jumps into the driveway! There isn’t quite enough snow to go out and ‘play’ in yet…but it’s coming soon…. 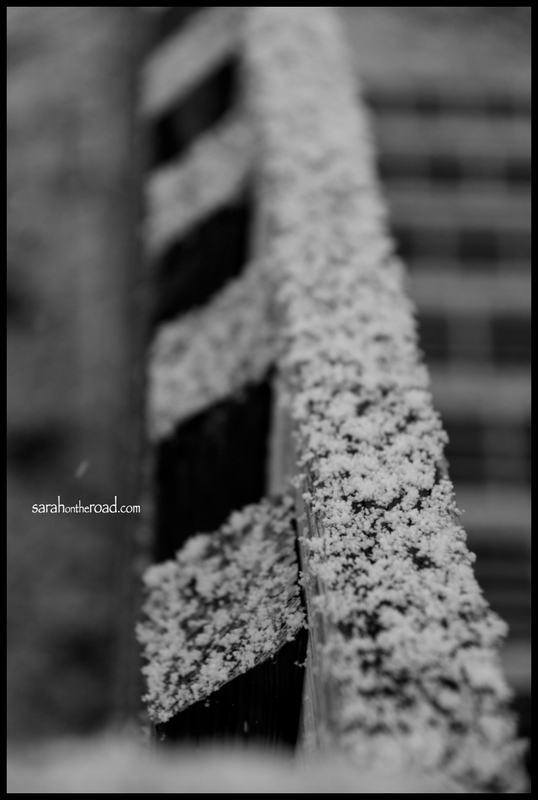 here’s my photo of the day of the snow collecting on the railing of my stairs! Today I was feeling a bit blue…I was having a hard time finding motivation, and inspiration… perhaps it’s the post-holiday-turkey-depression! I didn’t take a photo during my lunch hour. This is the best time for me to take a photo, because my house is filled with natural light! When I walk home from work at 5pm the sun is already setting! I missed the good light, I couldn’t decide what to take a photo of… my original idea had been to take a fun shot of the sky–but today it was just white filled with snow and clouds, so that idea was out. 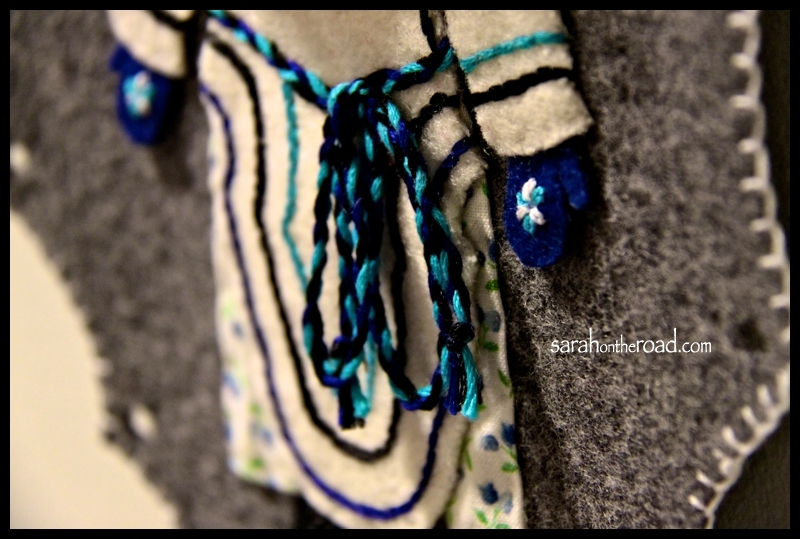 I had dinner and then tried to think of something to take a photo of inside… and I passed by this wall hanging… I saw a blue mitten…and I snapped my photo. I’m hoping to find some more creativity, inspiration…I’ve seemed to lost it somewhere–if you find it can you send it on back north to me? I can’t wait to see what the other people participating in this challenge took a photo of, you can too HERE! This entry was posted in Photo-a-DAY-Challenge and tagged Photography Challenge October 2011 on October 11, 2011 by Sarah on the Road. Thanks for including the boys. They love you too. Oliver told me tonight that he was looking for you in his bedroom but you weren’t there. Love the shot of the snow on the railing.